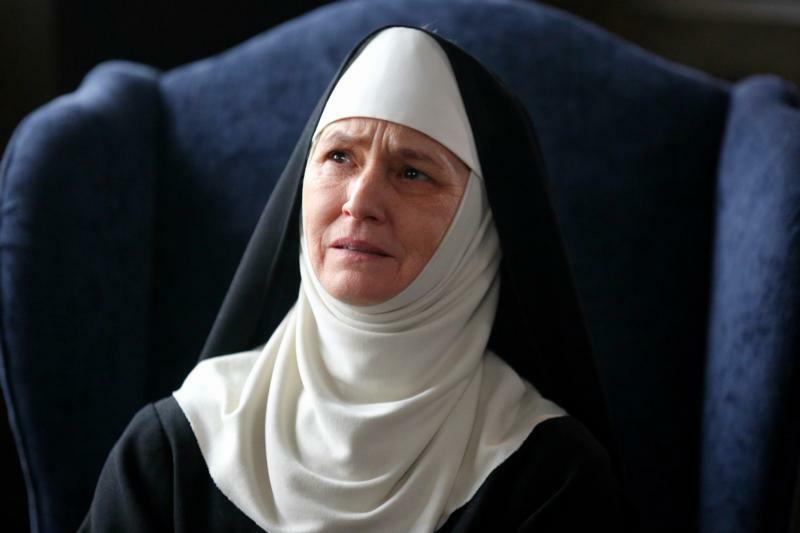 NEW YORK (CNS) — Writer-director Margaret Betts takes a stab at a genre that always seems to fascinate people, even those with no religious affiliation: nun movies. “Novitiate” is indeed a coming of age film as it explores the fall-out of a church coming to grips with modern society. It also examines why a young woman would enter a convent and what would drive her to stay or to leave in a time when leaving was a stigma and a badge of shame, that you were a failure if you left. One of the comments that surfaces often is the relationship between Sister Cathleen and Sister Gabriel. Throughout the film we see a thread of not touching, Cathleen resists the human touch even of her mother, disciplines herself to remain apart from human touch, and the scene between the two nuns is definitely NOT one of a sexual nature, but rather of the basic human need for contact. Noting that the information gleaned by Betts was primarily from ex-nuns was not only disrespectful, but disallows the fact that these women may, rather than being bitter, have a more comprehensive perspective of the practices of monastic life. This review is lost in the details rather than seeing the larger picture — the film got more right than wrong. Like many religious orders of the time, too many were focused changing the time for prayers and habits that spoke of compromise with modern attire than on how religious life could sustain and flourish in modern times. Consider as well what happened to a society when 90,000 women left social, educational, and nursing careers where they worked for sustenance rather than being paid a living wage and the state of education, medical and social systems today. Although the reviewer may be a nun, her experiences of monastic life as opposed to conventual structures may not give her the needed insight into this monumental work. And her age may also impact her review since, if she’s under 65, she would have never seen these practices. It is why films/texts such as this are in severe need of a dedicated genre.